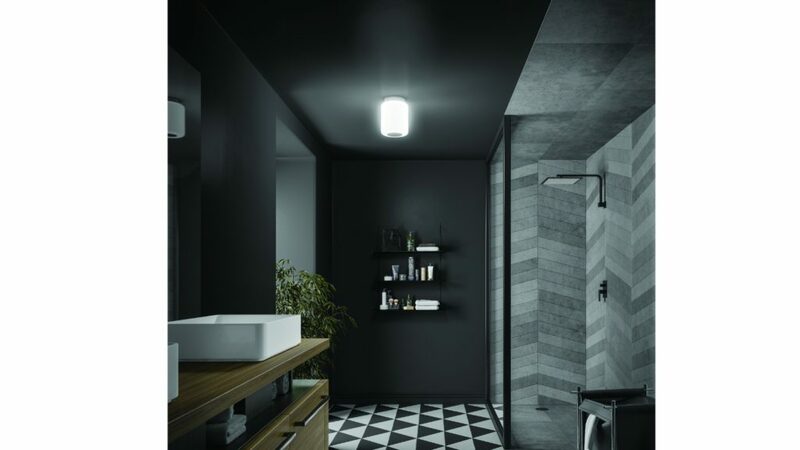 Adding to its lighting portfolio, HiB has introduced Rhythm – a ceiling model for the bathroom which can also play music. The IP 44-rated light features an integral Bluetooth speaker, so users can play music from their smart devices, and it can be operated by remote control. Rhythm boasts colour-changing LEDs and can be altered from Cool to Warm White, or users can choose from 12 colours. Take a look at Audio Visual trends for the bathroom and kitchen.